Cocaine is illegal in Canada and many parts of the world. Illegal to possess, cultivate and traffic for any use that is non medicinal or non government sanctioned. Cocaine usage and distribution is punishable by law and can include severe fines and jail time if you are caught with cocaine possession. Although possession and distribution have been criminally penalized throughout the world, cocaine is still used as a recreational drug and with many criminal organizations Organized crime groups dominate the cocaine trade. 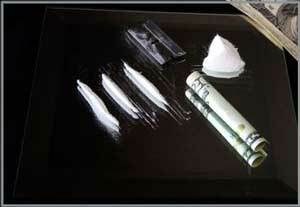 Most of the world’s cocaine is grown and processed in South America, primarily Columbia, Bolivia & Peru. It is then smuggled into the United States and Canada from Mexico/US border and through Florida. (b) for a second or subsequent offence, to a fine not exceeding three hundred thousand dollars or to imprisonment for a term not exceeding one year or to both. The United States are the world’s leading consumers of cocaine, making up of about 50% of the world’s market. Europe makes up of 25% of the world’s consumers and the rest of the world the remaining 25% of consumers. There cannot be possession without knowledge of the nature of the object. Knowledge can be established by circumstantial evidence. Are You Facing Charges for Cocaine Possession in Toronto? The element of consent to possess an object requires that the accused consent to the object remaining in place after he or she has knowledge of its existence. A person who discovers drugs and spends time maintaining custody of it while considering what to do with it may be found to consent to possessing it. The element of control over the object is established by showing that the accused had an intention to exercise control. Where the person is shown to have control over the area where the object is stored, they can be found to exercise control over the object itself. If you or a loved one has been arrested for the cocaine possession or intent to traffic of cocaine or another controlled substance – You need to speak to an experienced lawyer. A lawyer who knows Criminal Law regarding cocaine possession, cultivation & trafficking and has a long standing tradition of success – please call Toronto Criminal Lawyers – Bruce Karten & Stephen Hebscher.